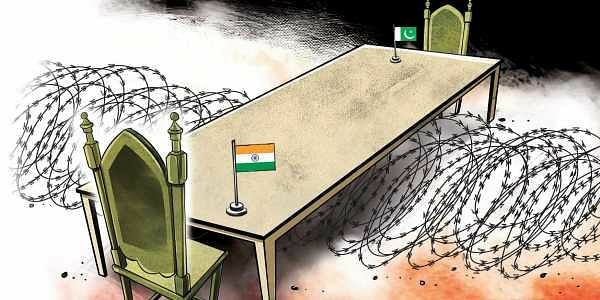 Talking to each other may not be the strongest suit with leaders of India and Pakistan. But talking about each other is, doubtless, a suit of their utmost liking and they take to it avidly, like a moth to the flame. There was, as such, little of surprise when Prime Minister Narendra Modi dilated on relations with Pakistan in a recent interview. However, what he said was the stuff of some surprise—given his penchant to dig deep into Pakistan with a scalpel with no holds barred. It was novel to give India-Pakistan watchers and pundits ample food to chew on. Modi denied that Indian foreign policy was Pakistan-centric or crafted solely with Pakistan as its target, comparing such an inference to “grave injustice” in his sense. That said, Modi did focus on terrorism in the context of Pakistan and thought that combating terror was a fight to save humanity. However, what came next was unusually conciliatory on his part, something that just didn’t pass muster with his aggressive personality but was refreshing enough to curry favour with the Cassandras of India-Pakistan imbroglio. Inviting Pakistan to join hands with India in the Himalayan struggle to eradicate, or even neutralise, poverty and disease, Modi said, “If we fight together, we will win faster.” Modi’s sudden switch may be intriguing to some India-watchers among the Pakistani chattering class who have a litany of grievances against the PM. They can’t forgive him, for instance, for sabotaging the 2016 SAARC Summit in Islamabad when his refusal to attend pulled the rug from under the Pakistani hosts. This was barely weeks after his dramatic break-journey in Lahore, on Christmas day, 2015, when he surprised Nawaz Sharif and his clan by turning up at the wedding of Nawaz’s granddaughter. Modi himself had raised eyebrows in Pakistan by playing host to Israeli PM Netanyahu in the latter’s high-profile visit to India, prompting concern and anguished analyses from conspiracy buffs that the two ‘enemies of world Muslims’ could be chalking out a common strategy to wreak havoc on the Islamic world. Still more troubling to the Pakistani pundits is the pressure mounted on Pakistan in recent days and weeks from Washington and Delhi, in unison, to prosecute Hafiz Saeed, the notorious chief of JuD accused of masterminding the 2008 Mumbai mayhem that had spilled so much of innocent blood. All this is not mere straws in the wind to watchful Pakistani observers who suspect that a nexus of common interest between India, Israel and US is in the works to turn the screws on Pakistan and force it to sign on to the common agenda of this ‘new axis’ in regard to Afghanistan and the region around. Against such a bleak ‘anti-Pakistan’ backdrop many a Pakistani Jeremiah, weaned on a staple diet of conspiracy theories, could be tempted to dismiss Modi’s peace overtures as just propaganda antics. Others, in a sober frame of mind, aren’t inclined to jump to hasty conclusions and would like to give the Indian leader due benefit of doubt. Instead of dismissing Modi’s latest tack out of hand as playing to the gallery, they prefer to read between the lines; and, when doing that, they see a pattern that may prompt a new round of talks between India and Pakistan. Unbeknown to most on either side of the great divide, the two sides have been making efforts, behind the scene of course and in very deliberate and calculated manner, to put an end to the impasse, the long and enervating pause that has only added to their mutual angst and suspicion of each other’s intent and agenda. It may sound apocryphal to those whose ears have grown accustomed to their leaders deploying tough jingoistic jargon about each other, that the two sides are still capable of a civilised dialogue, face to face, even in the midst of harsh rhetoric for public consumption. Indian memory must still be fresh of that ugly episode, of last December 25 in Islamabad, when the mother and wife of Kulbushan Jadhav, the Indian master-spy sentenced to death in Pakistan, were mistreated by the Pakistani intelligence. That did leave a bad taste in Indian mouths. However, few would know that only a day later, on December 26, Indian and Pakistani National Security Advisors—Ajit Doval and Lt. Gen. Nasser Khan Janjua, respectively—met in secret in Bangkok to defuse the dangerously-building hype between their countries. It wasn’t their maiden meeting; the two had also met at the same Bangkok venue in December 2015. The two meant serious business because a week before their latest secret tete-a-tete, Gen. Janjua had warned of South Asia being “a mistake away” from a major (nuclear) catastrophe. To those Pakistani peaceniks not swayed by the lethal syndrome of perpetual enmity with India, Modi’s surprise soft-talking offers a straw in the wind that they wouldn’t like to ignore or not clutch. But they would also want to see Modi putting his money where his mouth is. People-to- people contact is, for one, a more promising and robust input than traditional diplomacy. That’s where India is seen being weak. Sikh Yatris in hundreds are welcome to Pakistan. But Pakistani Zaireens (pilgrims) to the Urs (annual ritual) of Nizamuddin Aulya in Delhi were denied visas this January. India issued only 34,000 visit visas to Pakistanis in 2017, compared to 52,000 in 2016. Modi could do better with more munificence.